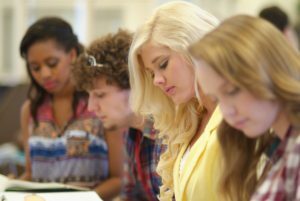 After you become an intermediate level in English, you might be wondering about how to improve English speaking. Because, you studied grammar rules with textbooks in schools and you can understand what you read and hear in English language. However, you can not speak English fluently. Thus you start to think about speaking improvement. We have been helping you to learn English by sharing useful content, especially video tutorials and downloadable mp3 lessons, as Power English Learning website. So we have a few recommendations about how to improve English speaking using very powerful listening lessons packs. Theese packs contains listening content because the key is listening here. The first program is the Learn Real English conversation course. By using this course, you can quickly learn to speak conversational English for job interviews and to make friends internationally. You can start being to able to understand English language movies, news and television. You can not speak English fluently by reading boring textbooks. But you should listen real English conversations repeatedly. And you can practice with listen & answer mini stories. Click here to download LRE course now! The second program is the Power English course that prepared by Effortless English method. Power English course contains over 32 lesson set. In each set, there is a main article lesson, a mini-story lesson, a pointof view lesson. Also there are 6 commentary mp3 lessons as bonus. As I said before,from the main article you will learn many interesting things, for example, how to be confident, strongand never give up achieving your goals. The mini-story and point of view lessons will teach you English grammar in the effortless way. The third program is the Succecc With Stories course by Lisa Biscup. Success with Stories course is a great way to learn English through listening, repetition and practice. By hearing the actual English words spoken and repeating them to yourself you can begin to speak English fluently through a better understanding of the language. You can practice speaking English while listening to the simple, yet enjoyable stories, reviews and vocabulary. This English lesson package is perfect for those who are able to understand some English, and speak it but who need a little help to become fluent in the language. Get Success With Stories Course Now! Finally the last program is the English Harmony System. “English Harmony System 2.0” is made to assist Anybody who could read as well as write in English begin eventually SPEAKING the actual language! So that you will find no shocks, let me inform you Precisely what you will get within each individual module from the interactive video & sound system English Harmony System 2.0. Click here to download English Harmony System now! We have another general tips about how to improve English speaking skills below. English has become the most trusted as well as the most common way of communicating all over the world. This is why it has become very important to learn this language. Many people look for ways on how to improve English speaking or writing as well. However, the most important of all is to know how to improve English speaking because that is what is actually needed by many people whenever they are at a bigger level. This is one of the most important things of all. You should not be shy at all because it is not your mother tongue so not knowing is not something bad at all. You should have full confidence that you will learn it and be excellent at it soon. You can and will make mistakes and people will correct them. Know that it is this way only that you will learn better. It is important to surround yourself with English when you want to learn it. This is because if you are in an environment where everyone is speaking English, you will learn speaking it very much quickly and in the best way too. They say practice makes a man perfect. So make sure you practice every day and you have a study plan too. Make a routine time and decide how much time you will give each day to learn speaking it. It is important to tell people. This means your friends and family that you are learning through a study plan. This way they will push you more to study and they will also not disturb you while you are studying too. If you are learning English speaking don’t just think that you have to only learn speaking it. You should also practice a bit of writing, reading, and listening too. This will help you improve faster and speak better too. Having your own notebook is important. Write all words that you learn in that notebook and make a point that you will use them in different sentences at least 2 times each day when you speak. This will help you learn new words and remember them long as well. You should do all your lesson parts at least each day and make lists to learn. Learning lists is one of the best ways to learn anything. It is a good way to learn in a very short time. It is just like you learn and remember things later after a test too. These are just some of the tips that have been given above to improve English in no time at all. 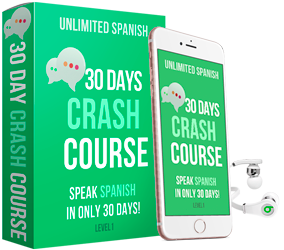 If you also want to improve your English speaking in many more ways. i want to learn more english speaking. Does success with stories mean that we will hear stories? I love stories and can’t wait to try this if that’s what this course really does. I hope I did understand this correctly. Hi Olivia, these are special stories which teach you to speak English fluently and automatically. First of all, you should listen to the stories repeatedly. Then Lisa the teacher begins to ask easy questions about the story. All you need to do is to say the answer with a few words. You can just say yes or no. You may not say the answers at the first time you listen. Don’t worry about it and just keep listening. You will hear the correct answer after one second from the question. This method is very powerful to improve English speaking. Good luck. Hi Berhan, first you should watch above video in the post. And you can check out the courses we mentioned under the video. These are so powerful courses to improve English speaking.